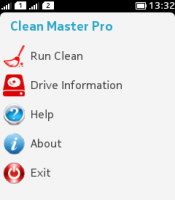 If your device has gone extremely slow, if it crashes permanently, when it runs out of storage space every time you try to download something and you start thinking about its replacing with a new device, just try first our "Clean Master Pro". It helps to free up storage space and RAM by cleaning all unwanted files and junk and killing all unnecessary processes. It boosts apps and games and device memory, enhances device speed and extends battery life.